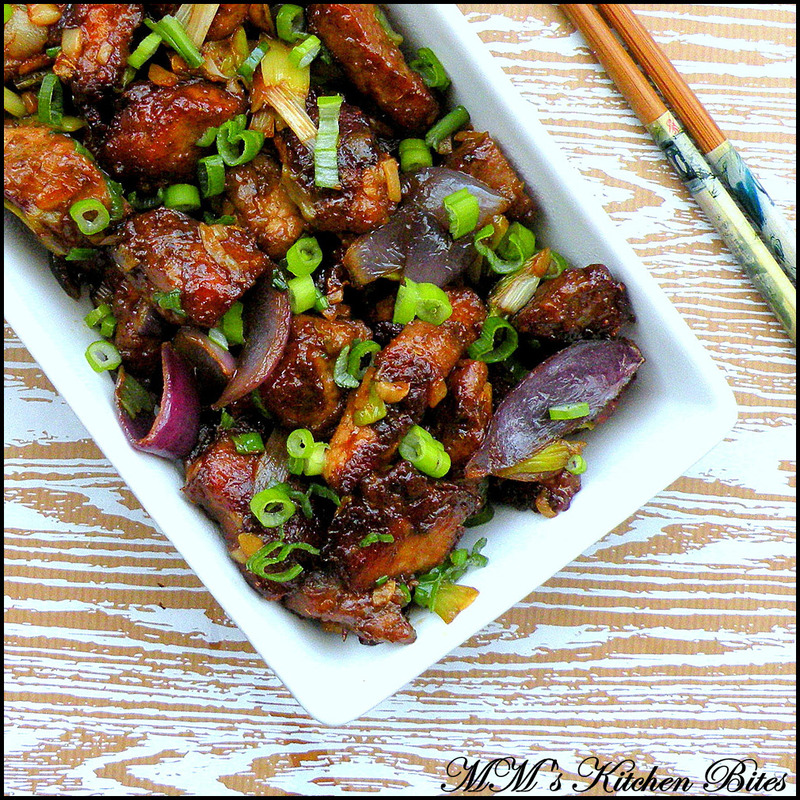 MM's Kitchen Bites: Chinese 5 Spice Pork with Soy and Oyster sauce...oink! Chinese 5 Spice Pork with Soy and Oyster sauce...oink! 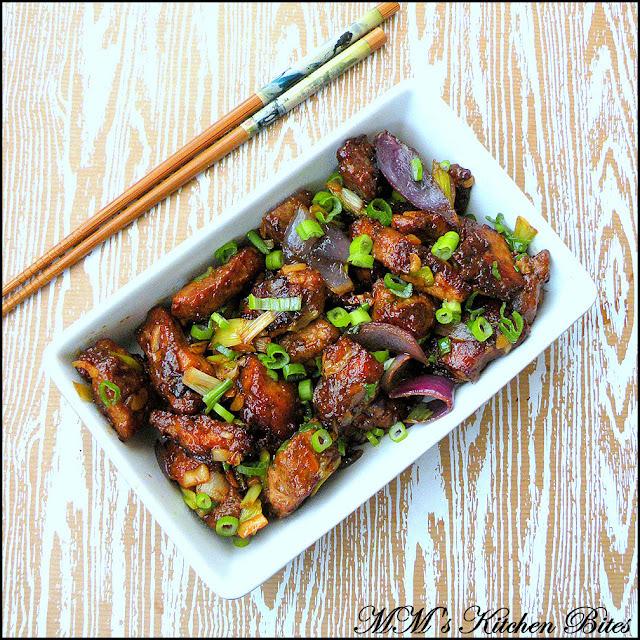 Marinate the pork with wine and soy sauce. Let it rest in the refrigerator overnight or a minimum of 4-5 hours. Bring the pork back to room temperature and preheat the oven to 200 degrees C.
Discard all the marinating liquid from the pork and sprinkle the pork with the corn starch, Chinese 5 spice powder, salt and pepper. Mix thoroughly so that all the pork pieces are covered properly. Arrange the pork pieces on a well greased baking tray and cover with foil. Bake covered for 30 minutes and then remove the foil and bake for another 10-12 minutes uncovered. When baking after removing the foil, turn the sides a couple of times to ensure all sides brown up nicely. Once the pork is done, heat the oil in a wok. Add garlic and fry for a about a minute or so. Add in the green chilies, celery, onions and white spring onions. Toss around and stir fry for a couple of minutes. Add in the baked pork, wine, soy sauce and oyster sauce. Toss and mix everything well together. Let the veggies and pork cook together with the sauces for 3-4 minutes. Garnish with green spring onions. Serve hot.